After morning showers on Friday, April 21st, the sky cleared, providing a beautiful evening for an outdoor event for Sculpture at the River Market’s Preview Party. With nearly 400 in attendance, the Preview Party kicked off the weekend-long 10th Invitational Sculpture Show & Sale. 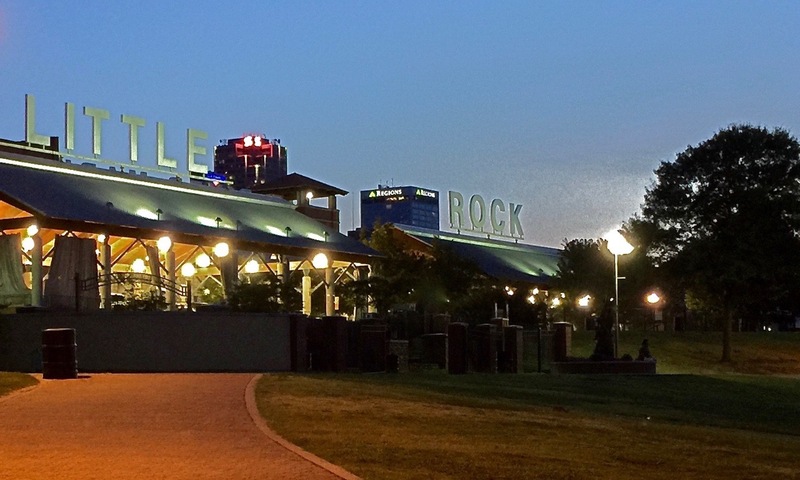 Little Rock’s River Market Pavilions served as the venue for the sculpture of 48 artists from Arkansas and beyond. 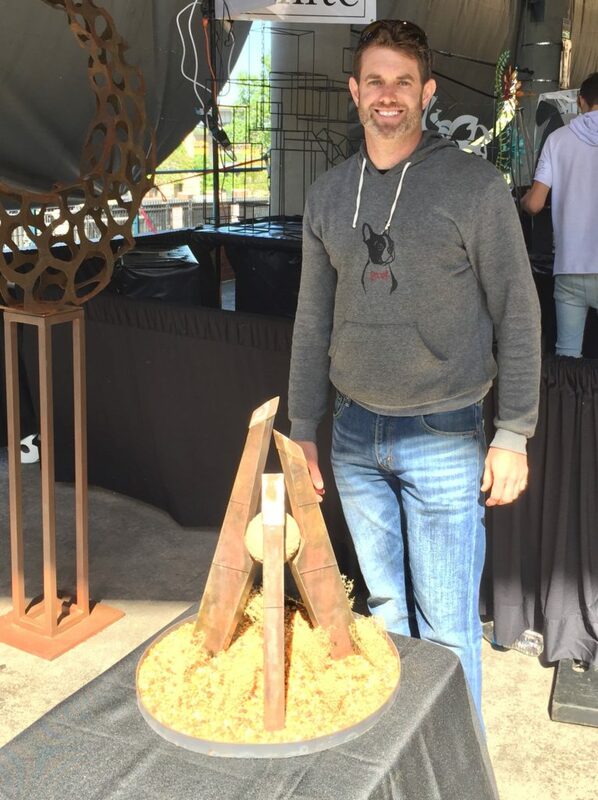 During the private, ticketed event, art enthusiasts perused the gathering of over 800 sculptures, and enjoyed the first opportunity to purchase their favorite sculptures. Central High School Jazz Combo and the Arkansas Symphony Youth Orchestra String Quartet played throughout the evening as guests visited with the artists and each other, while enjoying heavy hors d’oeuvres, and libations sponsored by Southern Glazer’s, from 6:30-9:30pm. Artist Stephen Shachtman and the maquette for his winning proposal, “The Arkansas A”. 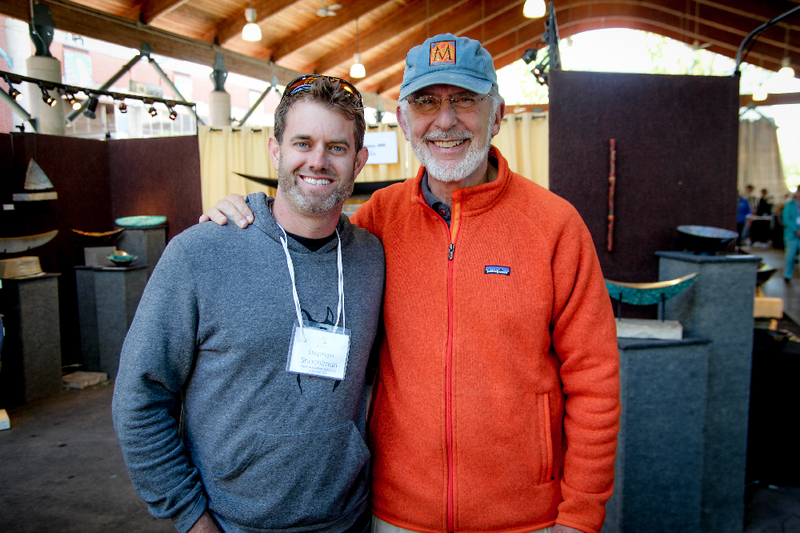 Stephen Shachtman is congratulated by Dean Kumpuris after being announced winner of the 7th Monument Competition Commission. For additional information about “The Arkansas A,” which will be placed at the Southwest Community Center in the spring of 2018, click here. To see additional photos of the 2017 Preview Party and Show & Sale, click here.